I’ve featured Silk Pajamas, or PJ, in a previous Throwback Thursday. 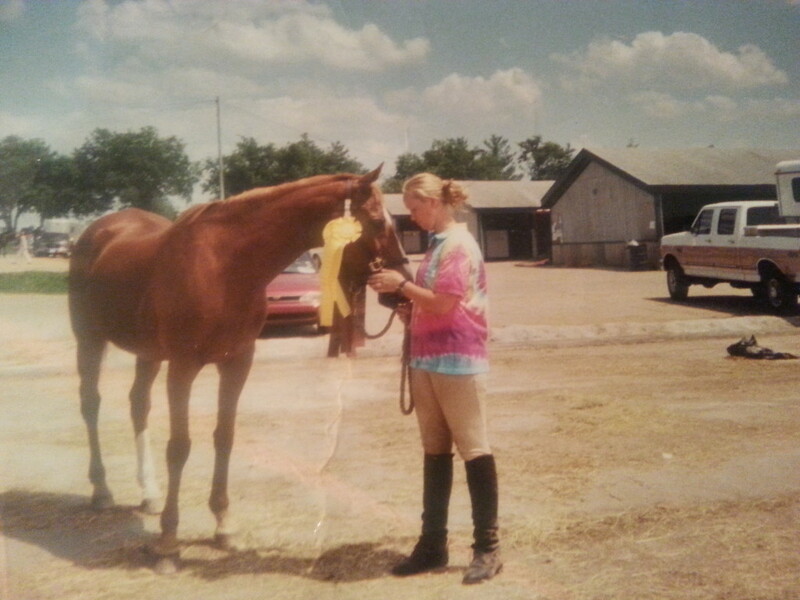 She really was a phenomenal mare, who at age 25, helped me earn my very first individual ribbon at the Midsouth USPC Eventing Rally. I’d hung my team’s third place ribbon and my individual eighth place ribbon on her halter and made my dad take some photos. He snapped this one when I wasn’t paying attention, and it’s one of my favorite pictures of all time.